During the recent break, as I was reading for my Women in Literature class, I immediately fell in love with our latest novel, My Year of Meats. 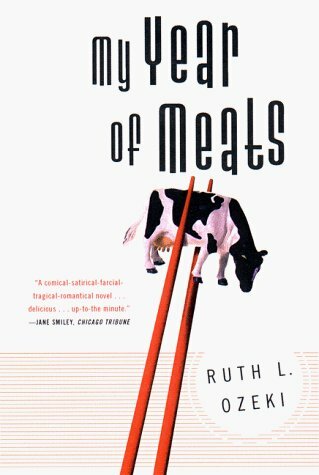 Not only does Ruth Ozeki’s book shed some light on the corruption of the meat industry, but it also relates to all of our lives more directly through the characters’ personal challenges, especially that of Jane, the protagonist. Jane Takawagi-Little, the speaker in the above quote, is a half-American, half-Japanese documentarian whose greatest struggle throughout the novel is her inability to commit to anything on a deeper level. When Jane gets pregnant, for example, she is never truly sure if she wants to keep her baby, and it takes her months to even consider choosing names. In addition, although attracted to a musician named Sloan in a way she has never felt before, Jane constantly changes her mind about her feelings for him, and feels uneasy referring to him as a boyfriend in spite of their attachment and exclusivity to one another. She blames a lot of this on her mixed ethnicity, but it takes until the end of the novel before she realizes she has to decide. While I may not consider myself of mixed ethnicity (but rather some sort of mutt of European origin) and therefore wouldn’t relate to the story in that way, I can understand Jane’s difficulty in fully committing to her decisions. Just yesterday, I couldn’t decide what shoes to wear to an Open House, so I considered bringing three options along to decide on the way until my friend ended up deciding for me. On a less superficial level, when I do make those difficult choices I tend to feel bad about neglecting the other options, and therefore it becomes harder to be completely satisfied with a decision. It seems that no matter what those decisions revolve around — changing one’s major, making summer plans, navigating relationships, picking out the perfect pair of shoes — we often find ourselves unable to choose. Things are no longer in black and white for us, but instead we end up in those gray areas we hate. Secretly, there is probably some comfort in not leaving our gray areas; after all, this means nothing has to change. We don’t have to rock the boat. We may lean one way or the other, but until we make a definite decision, we don’t have to do anything about it. Of course, this leaves us stuck in the same place forever as life continues to move at full speed around us. By not making decisions we can fully commit to, we become immobile. We miss out on those opportunities for growth that surround us. This week, I propose that we all try to leave our comfort zones. Make that difficult decision, and do it with your whole heart, not just half of it. (Tweet this!) Stop mulling over the “what ifs?” and just go for what you want. No regrets. I am so glad I was able to help you out! 🙂 I am trying to make a decision in my own life and I know it can be difficult but I think you just have to be brave and trust yourself. Best of luck and thank you for stopping by! 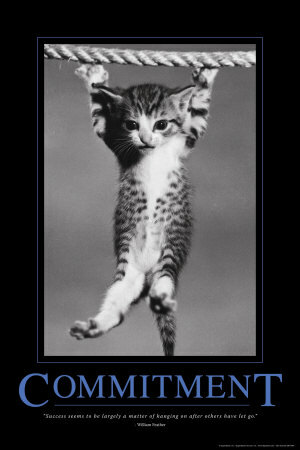 what a great post thank you, its really got my mind ticking, and i love the kitty! Thank you! I’m glad you enjoyed it. : ) I agree… the kitty is super cute!